It’s Galaxy S5 week, and, naturally, the phone is the toast of the town. Are you eagerly awaiting the arrival of your preorder? On the fence about purchasing the latest Samsung flagship? We’re sorting through the hype to see what has everyone talking as we approach the international release of one of the biggest devices in Android’s history. With the majority of US carriers offering a Galaxy S5 preorder, many customers already have their handset locked down. Those choosing to go with AT&T might even already have a tracking number to go along with it. For some the device could arrive as soon as today, ahead of the official April 11th carrier-wide availability. Other carriers haven’t been as on the ball. Verizon waited a bit longer before beginning their preorder, but buyers should still expect to see their new Galaxy S5s ship by the end of the week (they can also snag a second GS5 free). The same goes for those ordering the phone through T-Mobile or Sprint. Buyers hoping to purchase the handset direct from a carrier come Friday should expect to deal with a bit more in-store congestion than usual, but we have no reason to anticipate that anyone looking to pick up the GS5 on launch day will not leave with one in hand. As the Galaxy S5 finds its way into the hands of tech experts and enthusiasts the reviews have started to roll in. The consensus so far seems to mirror the arguably tepid reaction to last year’s Galaxy S4: a solid Android device that ranks among the top in terms of hardware performance, if not slightly underwhelming. Reviewers point to the iterative nature of the device, knocking off points for what amounts to a more or less incremental upgrade to the GS4. The build quality and design continue to be a sticking point for some. All, however, are quick to call the GS5 one of the best Android phones around. Before you got taking that new Galaxy S5 into the shower, you might be interested in exploring whether the device is truly waterproof or merely water resistant. And how resistant is it? The IP67 rating specifically states that a device with the rating should be able to withstand water damage for 30 minutes when submerged in up to 3 meters of water. Several brave souls have sought to test the nature of this standard, providing ample video evidence of the GS5’s durability in the face of splashes, submersion, and more. With the phone hitting shelves, Galaxy S5 accessories are soon to follow. Cases seem to be on the mind of many, and quite a few are wondering if Spigen will produce a version of their Slim Armor series for the latest Samsung handset. Given its similar design and capabilities, there is a question as to whether some Galaxy S4 accessories will be backwards compatible with the GS5. While this obviously will not include cases, is there a chance other peripherals will carry over? On the same note, will Samsung offer any accessory discounts for Galaxy S5 buyers as they did with the GS4? There has been no mention so far, but it would not be surprising to see Samsung kick in some bonuses after the handset has been on the market for a few weeks. The big question: who is buying one? Maybe you, maybe some first time Android users, maybe some folks upgrading from the Galaxy S3 or Galaxy S4. Despite the anticipating surrounding the Galaxy S5, it seems quite a few, especially those with the GS4 or another newer Android handset, have no plans to trade up at the moment. Reasons range from the low resale price of used phones to the relatively small gap in performance and features between the GS5 and the phone it succeeds. Take that for what it’s worth. Let us know if you plan to pick up the phone, if you already preorder, or perhaps if you already have one in hand. 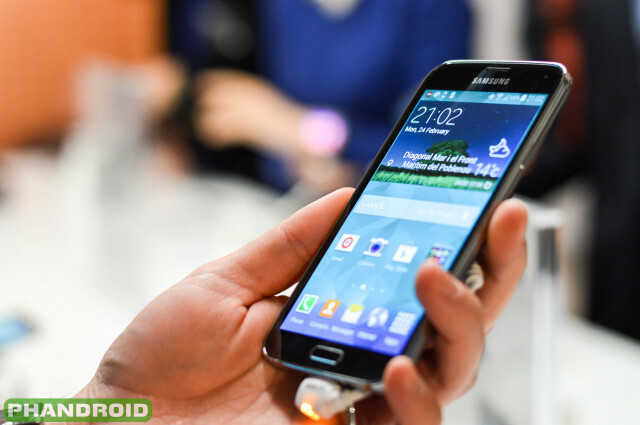 Follow the discussion further at the Samsung Galaxy S5 section of our very own Android Forums.